Elber (Bahia) wins a free kick on the right wing. Marco Antonio (Bahia) wins a free kick in the defensive half. Substitution, Bahia. Elber replaces Zé Rafael. Gustavo Scarpa (Palmeiras) wins a free kick in the defensive half. Delay in match Eugenio Mena (Bahia) because of an injury. Deyverson (Palmeiras) is shown the red card for violent conduct. Eugenio Mena (Bahia) wins a free kick in the defensive half. Gilberto (Bahia) wins a free kick on the left wing. Dangerous play by Marcos Rocha (Palmeiras). Attempt missed. Gilberto (Bahia) header from the centre of the box misses to the left. Assisted by Bruno with a cross. Hand ball by Bruno (Bahia). Substitution, Palmeiras. Thiago Santos replaces Dudu. Substitution, Bahia. Marco Antonio replaces Edigar Junio. Attempt missed. Lucas Fonseca (Bahia) left footed shot from outside the box is high and wide to the left. Assisted by Gregore. Attempt missed. Zé Rafael (Bahia) right footed shot from the right side of the box is just a bit too high. Assisted by Régis. Edigar Junio (Bahia) wins a free kick in the attacking half. Penalty missed! Still Bahia 0, Palmeiras 0. Bruno Henrique (Palmeiras) hits the bar with a right footed shot. Delay in match (Bahia). Video Review. Gregore (Bahia) is shown the yellow card for a bad foul. Penalty conceded by Gregore (Bahia) after a foul in the penalty area. 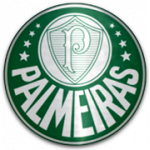 Penalty Palmeiras. Artur draws a foul in the penalty area. Edigar Junio (Bahia) wins a free kick in the defensive half. Tiago (Bahia) is shown the yellow card for a bad foul. Deyverson (Palmeiras) wins a free kick on the left wing. Attempt missed. Diogo Barbosa (Palmeiras) left footed shot from outside the box is just a bit too high from a direct free kick. Substitution, Palmeiras. Gustavo Scarpa replaces Moisés. Bruno (Bahia) is shown the yellow card for a bad foul. Corner, Bahia. Conceded by Bruno Henrique. Attempt saved. Elton (Bahia) left footed shot from outside the box is saved in the bottom left corner. Assisted by Zé Rafael. Attempt saved. Edigar Junio (Bahia) right footed shot from the right side of the box is saved in the centre of the goal. Assisted by Zé Rafael. Attempt blocked. Tiago (Bahia) left footed shot from outside the box is blocked. Attempt blocked. Vinicius (Bahia) right footed shot from outside the box is blocked. Attempt missed. Edigar Junio (Bahia) right footed shot from outside the box is high and wide to the left. Assisted by Gregore. Corner, Palmeiras. Conceded by Anderson. Zé Rafael (Bahia) is shown the yellow card for a bad foul. Foul by Zé Rafael (Bahia). Substitution, Palmeiras. Artur replaces Willian because of an injury. Delay in match Willian (Palmeiras) because of an injury. Attempt missed. Edigar Junio (Bahia) right footed shot from the right side of the box is just a bit too high. Assisted by Vinicius. Elton (Bahia) wins a free kick in the defensive half. Corner, Palmeiras. Conceded by Gregore. Corner, Palmeiras. Conceded by Elton. Attempt saved. Vinicius (Bahia) right footed shot from outside the box is saved in the centre of the goal. Assisted by Zé Rafael with a headed pass. Attempt missed. Gilberto (Bahia) header from the centre of the box is close, but misses to the right. Assisted by Eugenio Mena with a cross. Second Half begins Bahia 0, Palmeiras 0. 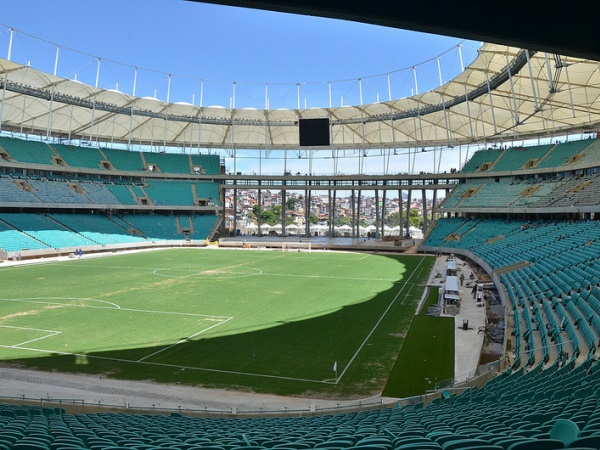 First Half ends, Bahia 0, Palmeiras 0. Attempt blocked. Elton (Bahia) left footed shot from the centre of the box is blocked. Attempt saved. Vinicius (Bahia) right footed shot from outside the box is saved in the top right corner. Lucas Fonseca (Bahia) wins a free kick in the defensive half. Corner, Palmeiras. Conceded by Bruno. Deyverson (Palmeiras) wins a free kick in the attacking half. Corner, Bahia. Conceded by Antônio Carlos. Edigar Junio (Bahia) wins a free kick on the left wing. Gregore (Bahia) wins a free kick on the right wing. Attempt missed. Deyverson (Palmeiras) header from the centre of the box is high and wide to the right. Assisted by Marcos Rocha. Attempt missed. Gilberto (Bahia) right footed shot from the right side of the box is high and wide to the right. Assisted by Zé Rafael following a fast break. Corner, Palmeiras. Conceded by Gilberto. Hand ball by Zé Rafael (Bahia). Attempt blocked. Felipe Melo (Palmeiras) right footed shot from the centre of the box is blocked. Assisted by Dudu with a cross. Corner, Palmeiras. Conceded by Tiago. Attempt blocked. Deyverson (Palmeiras) right footed shot from the centre of the box is blocked. Assisted by Marcos Rocha with a cross. Diogo Barbosa (Palmeiras) is shown the yellow card for a bad foul. Attempt blocked. Felipe Melo (Palmeiras) left footed shot from the centre of the box is blocked. Assisted by Deyverson with a headed pass. Corner, Palmeiras. Conceded by Eugenio Mena. Attempt blocked. Bruno Henrique (Palmeiras) right footed shot from the centre of the box is blocked. Assisted by Deyverson with a headed pass. Attempt missed. Zé Rafael (Bahia) right footed shot from outside the box is high and wide to the left from a direct free kick. Delay in match Anderson (Bahia) because of an injury. Attempt missed. Deyverson (Palmeiras) left footed shot from the centre of the box misses to the left. Assisted by Dudu with a cross. Bruno (Bahia) wins a free kick in the defensive half. Dangerous play by Dudu (Palmeiras). Zé Rafael (Bahia) wins a free kick on the left wing. Offside, Bahia. Eugenio Mena tries a through ball, but Elton is caught offside. Corner, Palmeiras. Conceded by Vinicius. Foul by Eugenio Mena (Bahia). Attempt saved. Dudu (Palmeiras) right footed shot from the centre of the box is saved in the centre of the goal.